How long have you been thinking about selling your artwork or crafts on the internet? What’s holding you back? * Are you confused by too many options? * Worried that having your own website costs too much? * Don’t have a clue what other venues are right for your art? Or have you tried a few things here and there, but felt that nothing worked out? Several years ago I had all of those concerns, plus a few more. But I finally got tired and frustrated selling my art at local galleries and craft fairs, and realized it was high time to work through my fears about selling online. I now sell my work directly through this website, and on my Etsy and ArtFire shops. I get royalties on my images, designs, and books, through Zazzle, Smugmug, Lulu and Amazon. And you can do the same! There’s nothing magical about it. It takes time and work, but with the insider tips in this book that have taken me years to learn, you’ll hit the ground running, with a big advantage over other artists still struggling to wade through it all on their own. * Learn the 5 critical skills to sell your art and crafts online, including tips on where to go for help when you just can’t do it yourself. * Discover exactly what kinds of websites are appropriate for your artwork and crafts. * Figure out whether getting your own website is the right move for you. * Find out about the wide variety of ways to market and advertise your work online, including tips on how to make online social media work for you. * Learn about powerful and free tracking tools to measure your online successes and weaknesses. * Zero in on what’s holding you back and get valuable ideas about how you can motivate yourself to get going. As a bonus, because the internet changes so quickly, when you buy the book just sign up with me to get all free updates that I make to the book for the next two years. The 72-page ebook is in the format of a PDF file, which you can open and print using Adobe Reader. If you don’t yet have Adobe Reader, you can download it for free by clicking on this link. 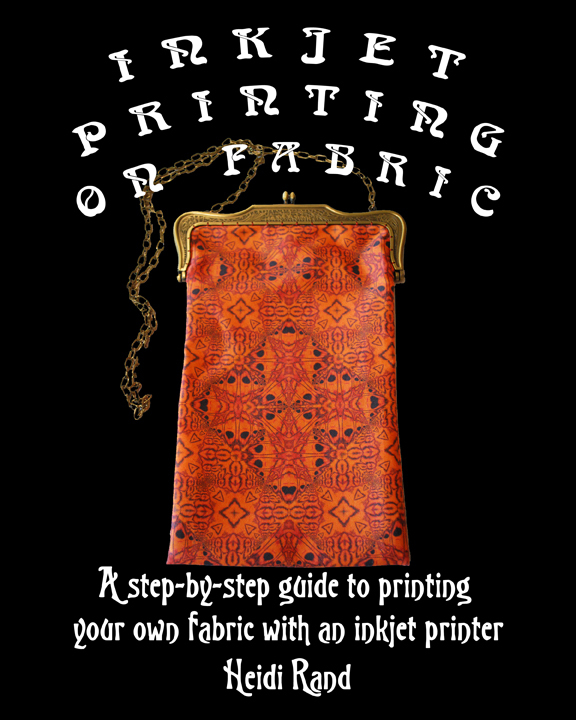 If you order it through this website or on Etsy or Artfire, I will send it from my email address: heidirand@gmail.com, so if you have a spam filter, please make sure you’re allowing email from that address. If the single file is too large for your email account, I will send you two or three pdfs in separate emails. Print version now available on Amazon! Click here to see a preview of the book or to order the print or kindle version. Join the facebook page I started for you to network with other artists who are selling their work online. Post questions, share your progress and frustrations, let us know about your websites and blogs! 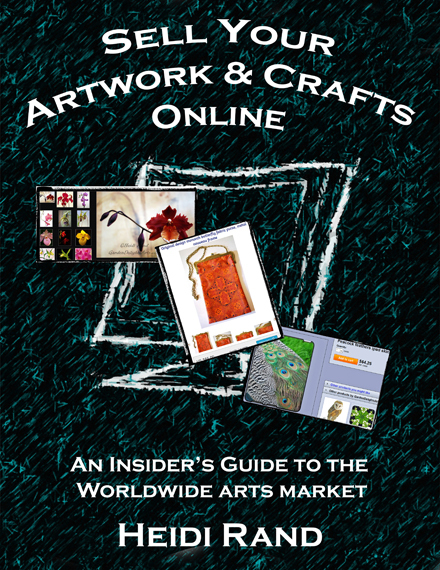 I’ll post free tips about selling and marketing your arts and crafts online.